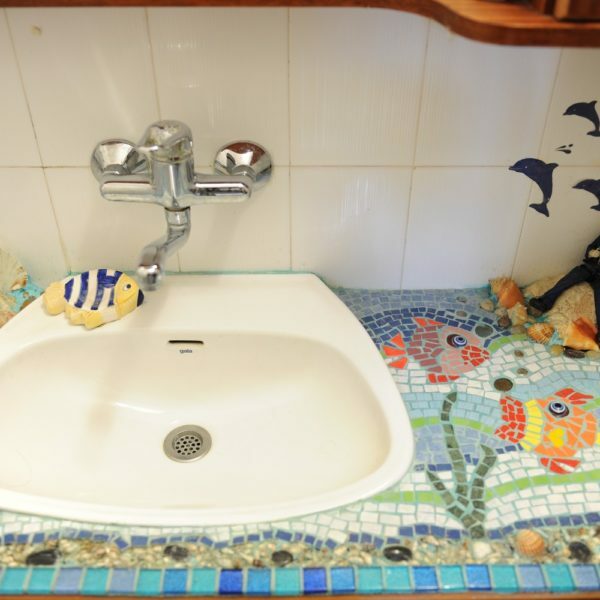 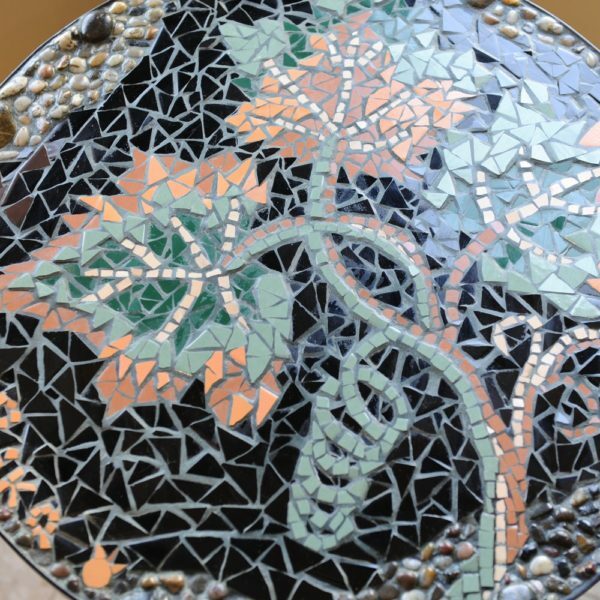 Rivka Shefer’s nimble fingers glue small colorful stones onto rocks; stones and surfaces in a combination of shapes and ideas, reviving the ancient art of mosaics. 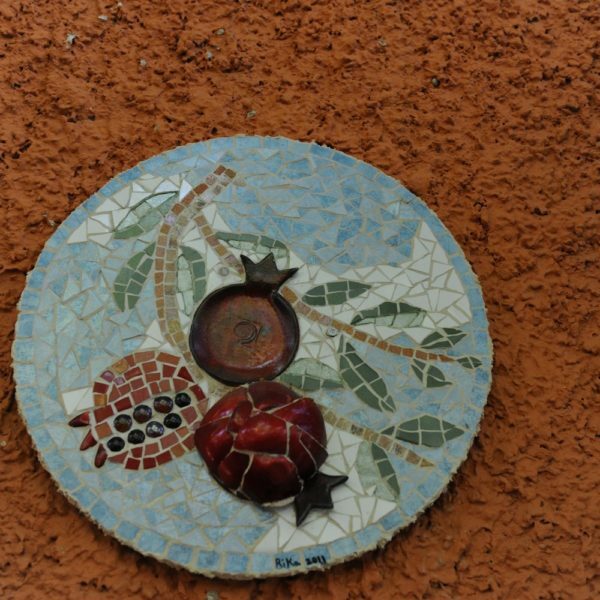 The way to her home at Tal-El community leads through an intricate pine forest that invades the streets and spaces between houses giving a green entangled trim to all its surroundings. 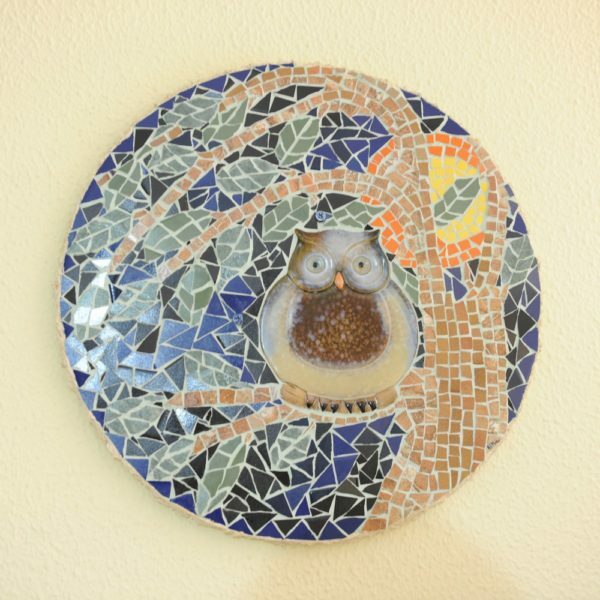 This forest is home to Rivka, a senior teacher, creating mosaics from ceramic tiles, glass and stones, and experimenting in other forms of art as well. 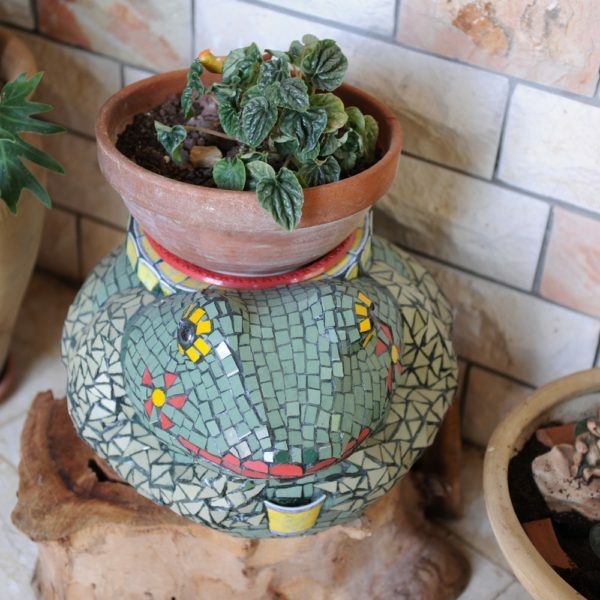 Rivka’s reputation traveled afar, and in addition to the works she creates, many come to her home seeking to learn the secrets of her trade. 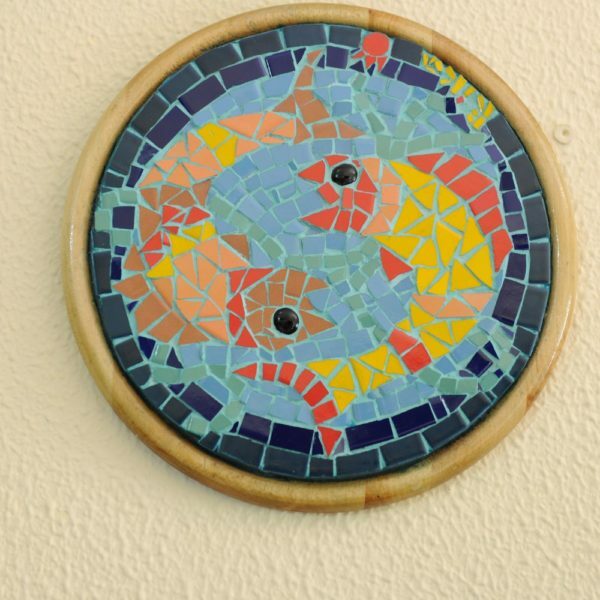 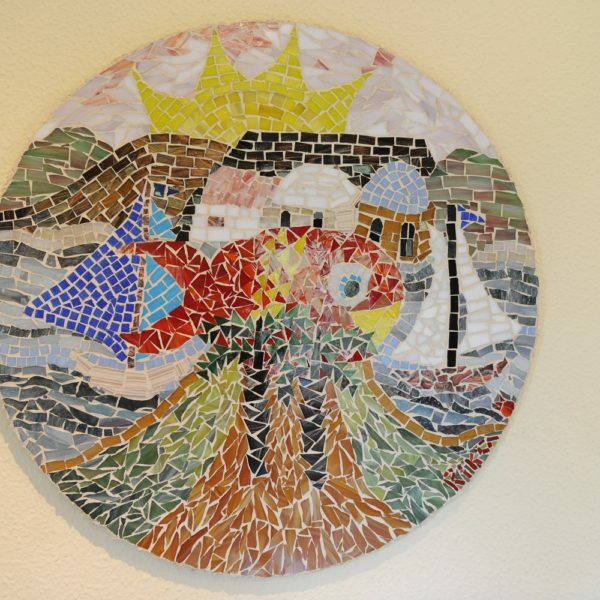 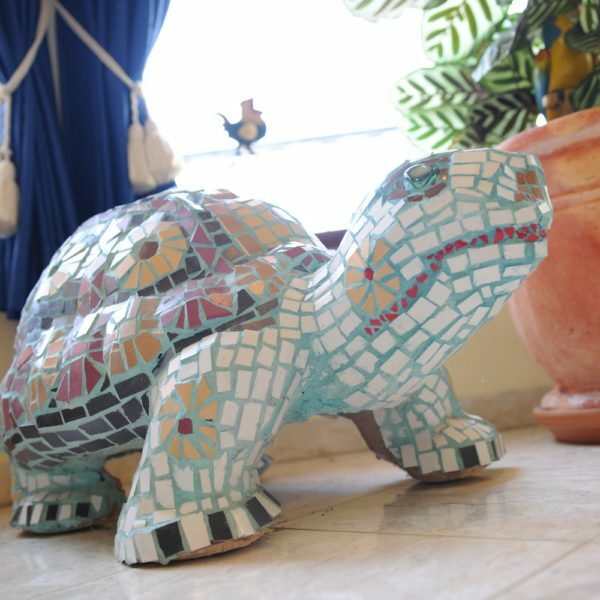 Mosaic Art workshops and get-togethers are held for groups of teachers, arriving from all over the country. 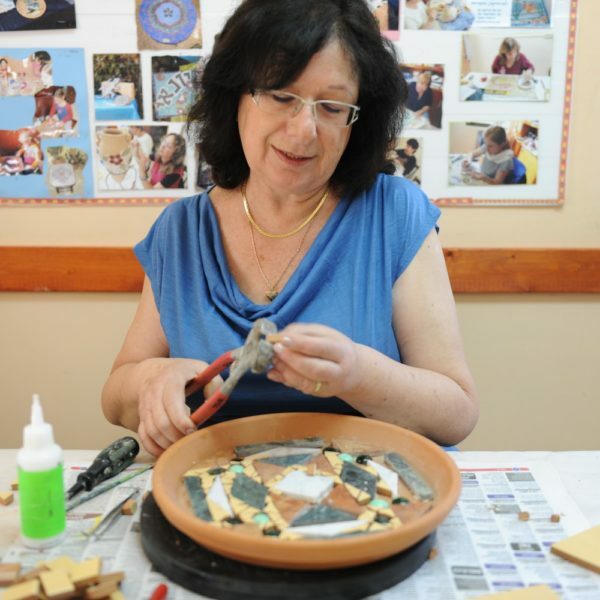 Children also come to the workshops, and coordinated in advance, you can also come, even as a family; sit around the large table in Rivka’s studio and start creating your own family mosaic.